Notices are made so that people are fully aware of something ahead of time. It also allows them ample time to prepare for whatever may happen. Which is why there are many establishments that hand out notices of situations that will eventually happen. A good example would be when a landlord considers writing a 30 day notice to one of the tenants for eviction. 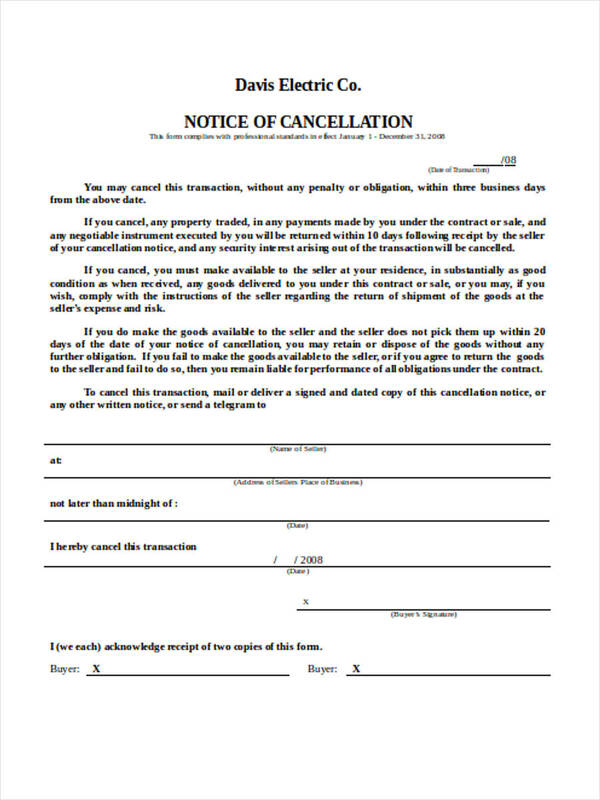 Notices are even done for business related purposes such as someone handing out a commencement notice notifying a building control authority that one of the facilities will be used for a couple of public works. All one has to do is to properly consider which notice to use for what occasion. What is a 3 Day Notice to Vacate? 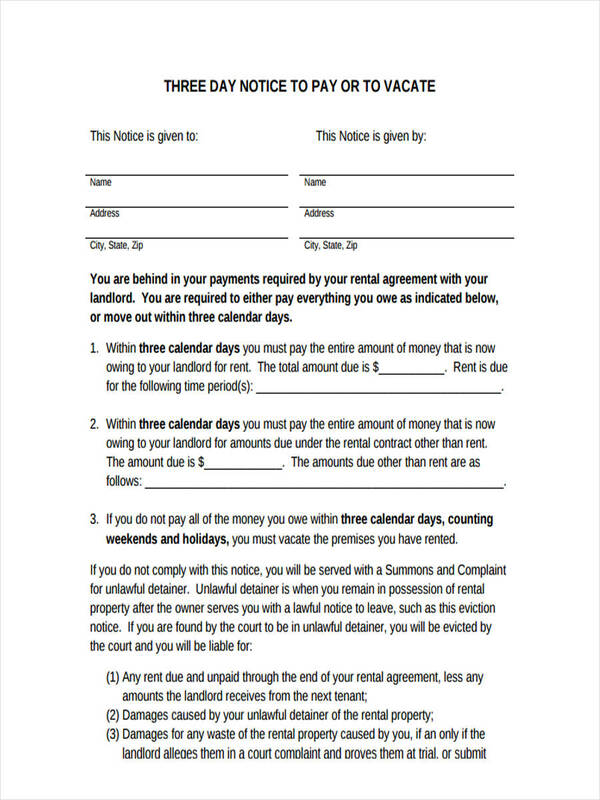 A 3 day notice to vacate is made by any landlord when they need to vacate any of their tenants. 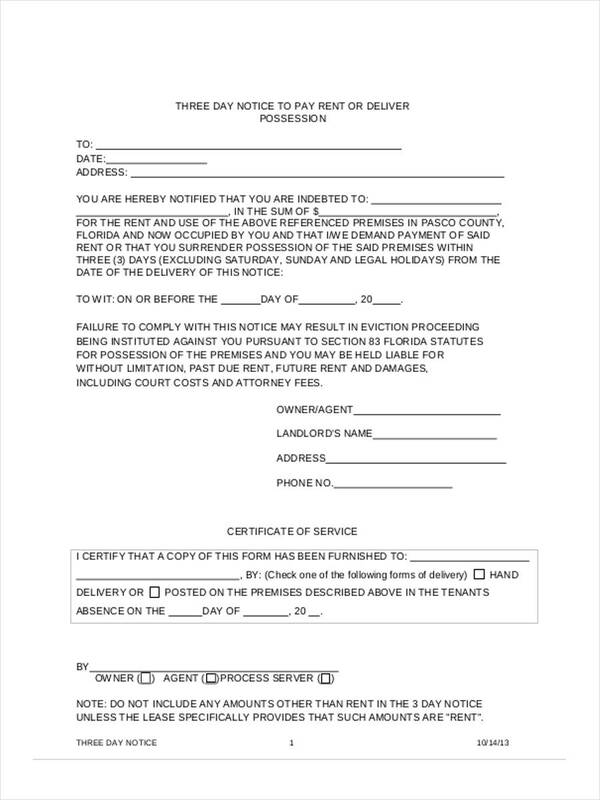 Think of these like notice of disposal forms. You’re disposing one of your tenants but you’re giving them a 3 day notice to make sure that they’re fully prepared by the time they have to vacate the premises. This also gives them the reason as to why these people are being vacated. 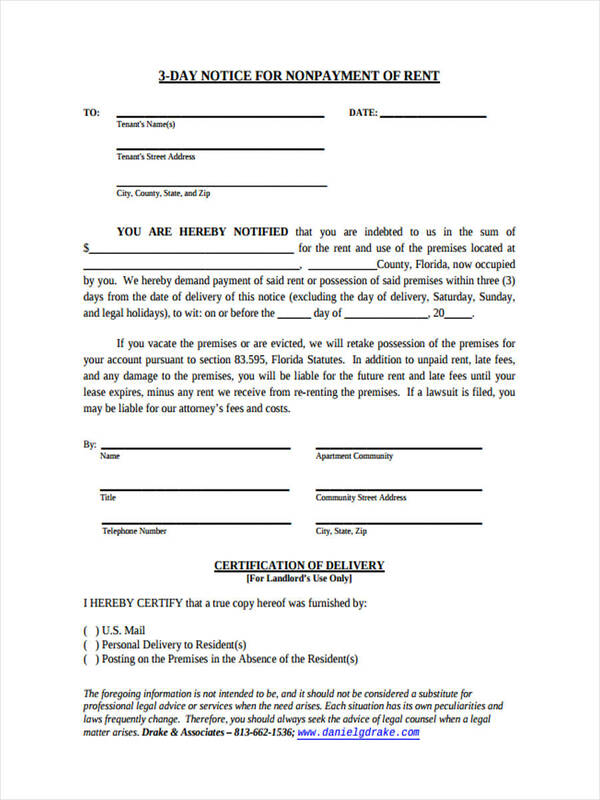 How to Write a 3 Day Notice? If one plans on writing any kind of 3 day notice, then the first thing to do is to write as to who the notice should be addressed to. This means placing in the receiver’s complete name along with the address. One must state the reason as to why the notice is being handed out. 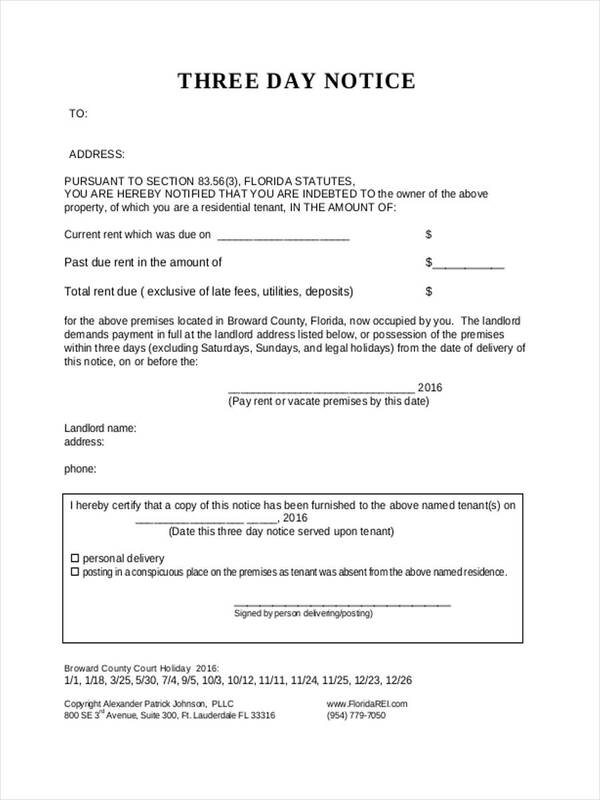 A good example would be when someone issues notice of sale forms to tell a client that a sale has been finalized. You must then state the time limit of 3 days, and what the receiver has to comply with duration of that period. 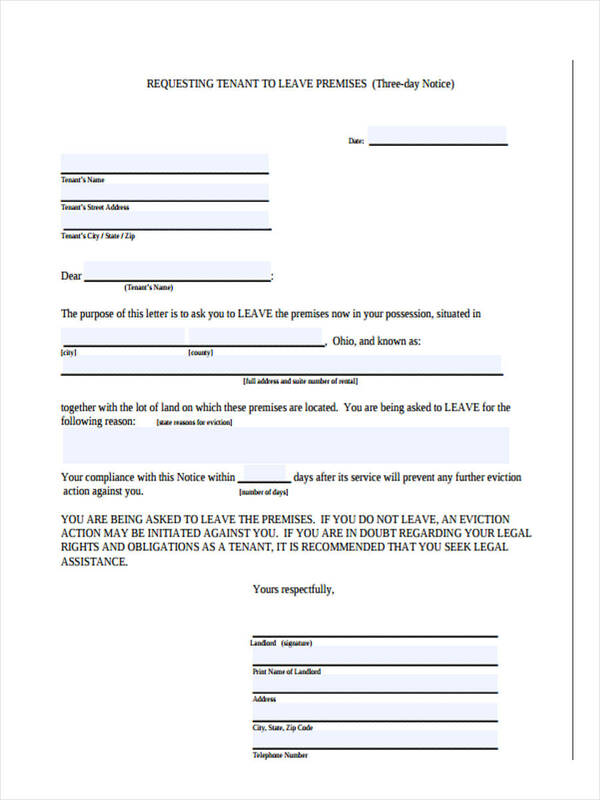 Lastly, add in the name and signature of the sender of the notice. What Happens After 3 Day Notice to Pay, Rent, or Quit? If within 3 days that a client has not complied with any of the agreements concerning pay or rent, then ample compensation will have to be made from the receiver of these notices. If these payments are still not met within 3 days time, then that person may most likely be evicted from the premises of the establishment. Some tenants will receive court summons for unlawful detainment. 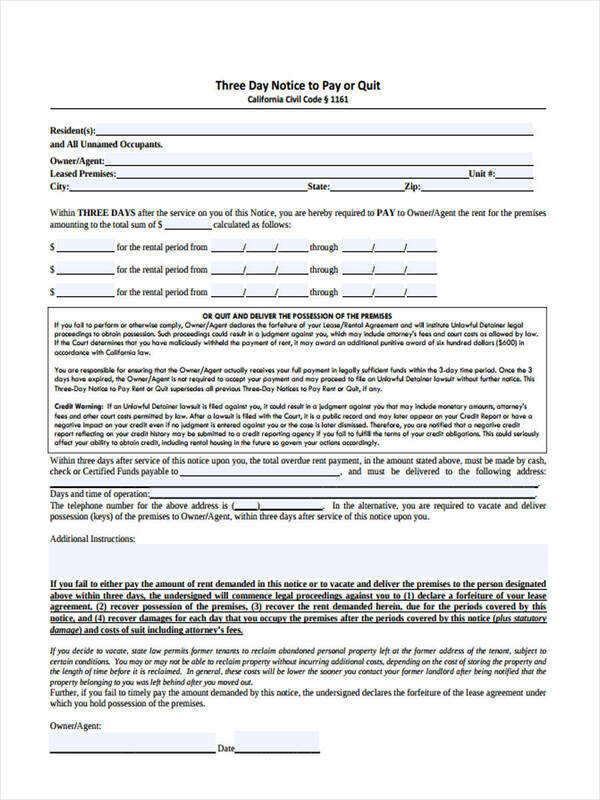 In the event that you would like to give notice to a tenant you would like to evict due to delinquent payments, then make use of printable eviction notice forms and send it straight away.